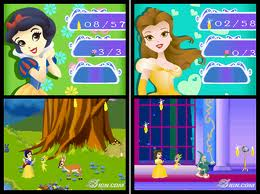 Disney Princess: Magical Jewels presents some of your favorite Disney Princesses, including Cinderella, Belle, Aurora and Snow White in a fun-filled adventure created just for young girls - plus mini-games with Ariel and Jasmine! Take on the role of one of the Disney Princesses as they travel through enchanted levels to recover the magical jewels and restore the magical power of the kingdom! 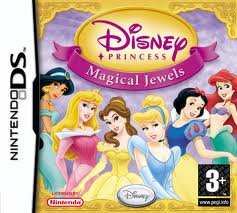 Disney Princess Magical Jewels.nds 1.0 NEWEST!